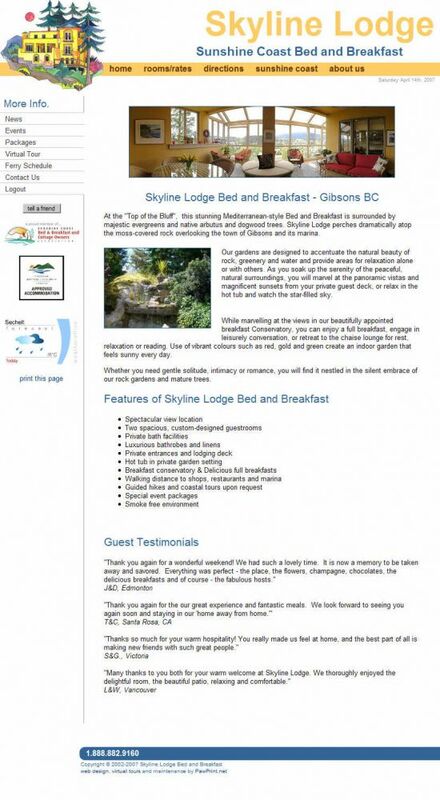 Skyline Lodge contracted PawPrint to take new photographs, virtual tours, and redesign the web site for their Bed and breakfast several years ago - recently they completely re-modeled and asked PawPrint to return to help them update things on-line as well. We took this opportunity to update their web site with the latest content management code from PawPrint and redesigned some of the structure of the site. We also helped them learn some new tricks for making their content managed web site easier for the search engine bots to find and more effective for human visitors. 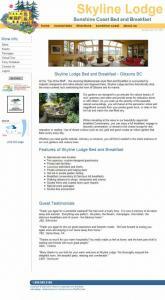 The end result is a more attractive and effective web site.